From skinny jeans and boyfriend iterations to denim frocks and skirts, there are countless indigo options out there at any given moment. But what will the cool girls be wearing next year? If 3.1 Phillip Lim's new spring 2017 collection is any indication, there's one detail that you should be looking out for on your denim pieces: interesting zippers. 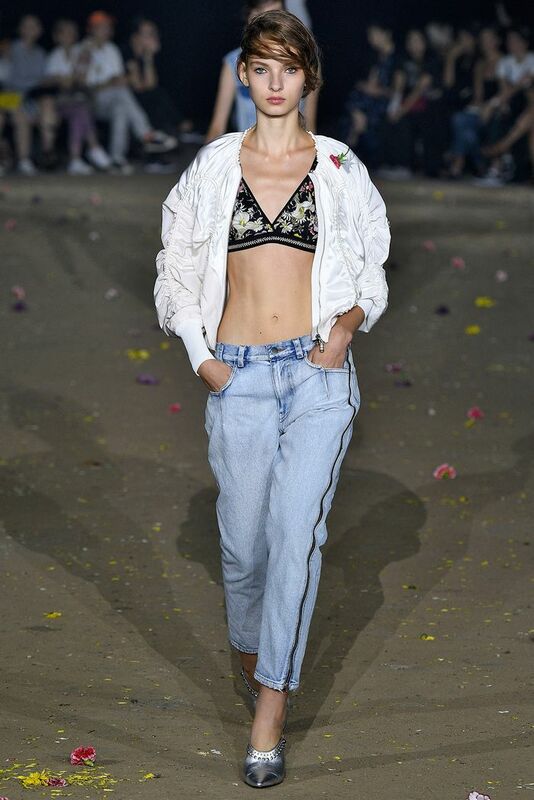 The designer sent a handful of zippered denim looks down the runway, including boyfriend jeans with zippers down the side—a twist on the current craze of side-stripe track pants. There was also a patchwork-style denim skirt that had a zippered detail on one side, revealing a thigh-high slit, as well as a dress with haphazard zippers. We love how 3.1 Phillip Lim took the traditional, potentially boring element and flipped it on its head, resulting in a definite trend in the making. Scroll down to see how 3.1 Phillip Lim interpreted the zippered denim trend for S/S 17! Are you a fan of unique zipper details on denim? Tell us in the comments below, and then shop 3.1 Phillip Lim's new arrivals!